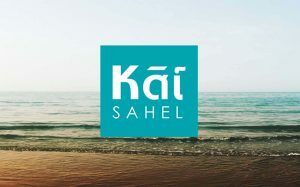 Misr Italia is launching a brand new compound called Kai Sahel. 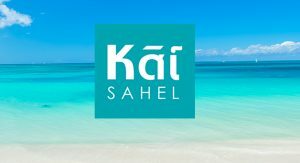 Kai Sahel is a new summer destination on the Egypt’s North Coast (Sahel). 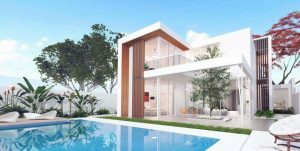 This new development is expected to have stunning visuals and beautiful scenery with sea views and lagoons. One of the biggest advantages of buying a place in Kai Sahel is that it will contain 75% villas and 25% chalets, which means that the compound will be spacious. Kai will also have a sports arena, which will include a clubhouse, tennis courts, a soccer field, swimming facilities, an outdoor gym, and a track. Sensations Park: The Sensory Park transports visitors of all ages to an immersive, interactive public space using the five senses. Featuring elements of activity, engagement and interaction throughout the springs park, visitors are encouraged to connect with each of their senses in an inspiring way and return again and again to continue the exploration. Eden Lagoons: The lagoon district features a series of connected water experiences that weaves between town homes and twin homes. These modern urban residences get to enjoy the tranquil and serene experience that comes with living on a lagoon. Peaceful water,harmonious nature and relaxing activities make this the perfect retreat for mature adults. Hele Water Chalets: Located adjacent to the lagoon and park, this district of chalets has easy access to active waterfront activities and land-based community activities in the park. Time travel is the family time travel awaited for long time in a lively,active and bright zone features: flexible green space,which can be used for a variety of events and activities throughout the year. Bright and festive, this intimate district is the place for those who want to be in the center of it all. Makai Sea-Front Villas: This friendly, inviting neighbourhood offers world-class elegance and amenities to residents who desire to live with great style and grace directly in front of the sea. The Interstellar experience reflects the imaginative journey between the stars living the imaginative beach experience towards the resort sea. Here, natural beauty is at its best with manicured gardens and views of the park and beach. Safe pedestrian paths and bicycle lanes allow guests convenient access to the best neighbourhood amenities. Nalu Beach: At Nalu Beach,the beach experience is enhanced with an active pier and expansive resort-style pools with something for everyone – anActive Pool for the family,a Serene Pool for adults and a HotelPool for guests. 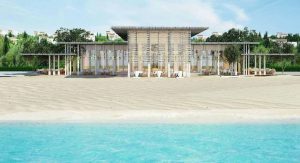 This beach side destination lined with restaurants, retail and events is the perfect spot for impromptu gatherings with family and friends as well as the many special events that take place throughout the year.